⟩⟩⟩ SDI input for broadcast professionals. Up to 1080p/30 HD resolution. Suitable for video-over-ip application through internet, for Ka-band internet over satellite contribution. Dual IP output streams at the same time with different resolutions, e.g. one for internet, one for LAN. 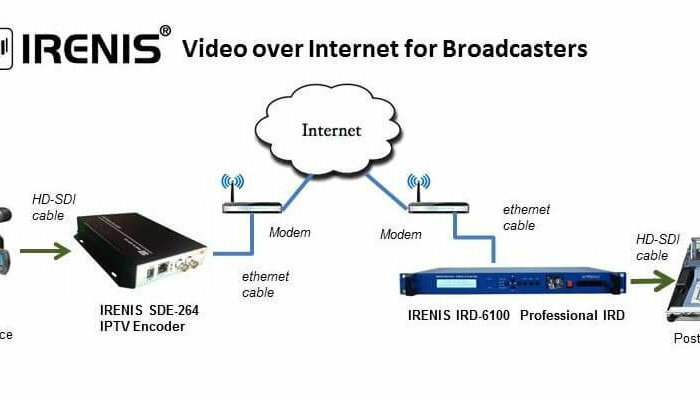 All IRENIS encoders offer perfect image quality and stable system operation at an affordable price. H.264 encoder & IP streamer combined. HD-SDI and SD-SDI input for encoding. HD Resolution 1080p, 1080i, 720p. Dual IP streams out. IP output: RTSP, RTMP, HTTP, UDP (unicast / multicast). 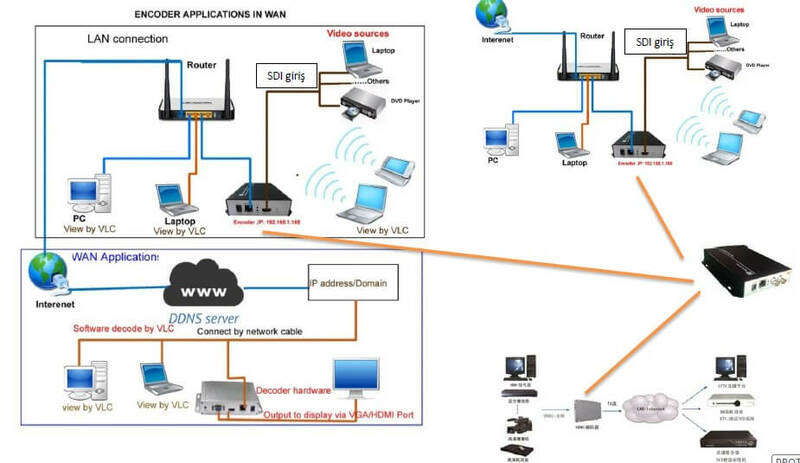 Distribution of video camera, PC monitor, satellite receiver, DVD / Blu-ray player content over LAN, WAN or internet. Local IPTV on LAN applications, Corporate IPTV, Hotel IPTV. 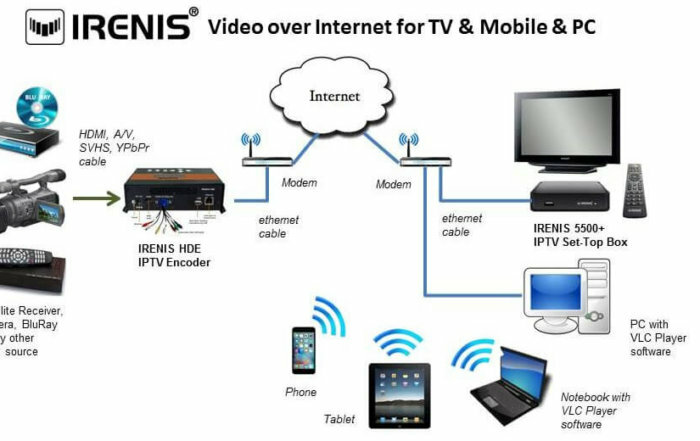 IRENIS SDE-264 encoder enables the distribution of SD and HD tv/video content through IP networks in digital quality. 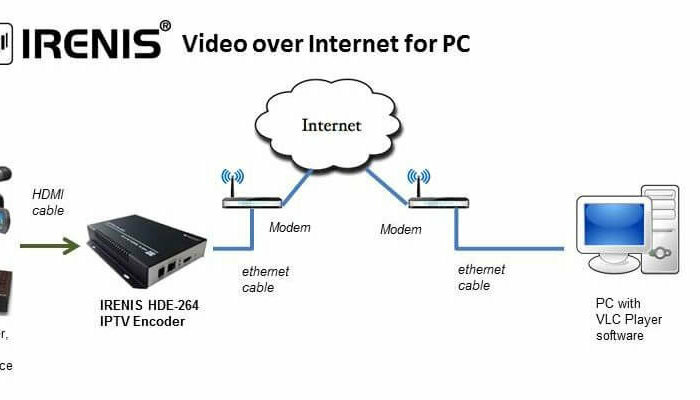 The live video can be watched on tv sets with IPTV Set-Top Boxes, on PC’s and tablets with VLC Player. 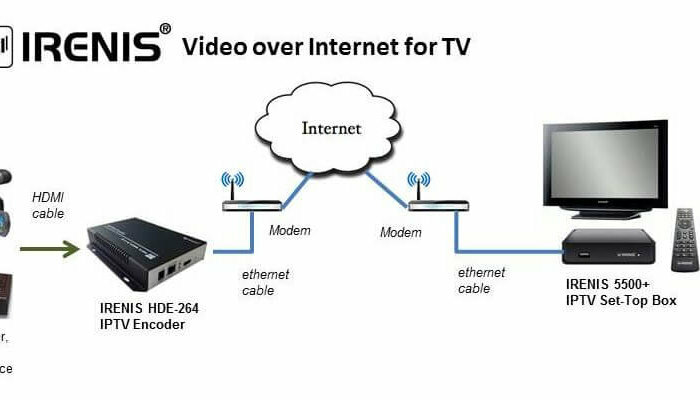 IRENIS SDE-264 IPTV encoder is designed for TV signal distribution in excellent quality over LAN and INTERNET.